This is terrific, Hank! I hope you’ll share this with John Shahan, so he can add Perkins to his list of Past Doubters. I’m looking forward to seeing the new film about Perkins and Thomas Wolfe. Yes, I think it’s a wonderful film. It concentrates 90 percent on the Wolfe-Perkins story, but well worth it. Brooks beat Hemingway in a major French literary contest,for which Hemingway always respected him as Orson Welles respected John Ford who beat him out for the Oscar. Hemingway was himself an authorship doubter(see Warren Hope) and my old friend ,Marguerite Young ,yet another Maxwell Perkins literary prodigy,believed Hemingway had referred Brooks to Perkins. You can also add Marguerite’s name to the authorship skeptic list though, needless to say,she had enough coontroversies going not to make a public thing of it. Thanks! 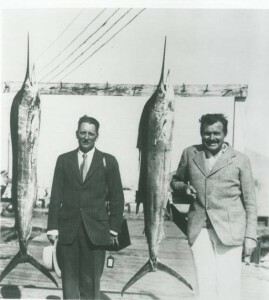 Does Warren Hope give a source for Hemingway as doubter? I take it Perkins was of an era and a social class in which voicing Stratford Shakespeare doubt was not publically labeled clinically insane by authorities dubiously credentialed for such judgments? Metatags: e.g., Wells, Edmondson, Shapiro, Schoenbaum, Bate, Nelson, Grose, Prescott, Holland, Buckley, McCluskie, Palfrey. Well, he had a rough time getting the Dyer book published. Maybe labeled only partially insane….